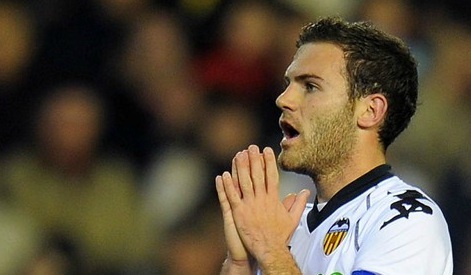 Chelsea hope to succeed where Arsenal and Tottenham Hotspur failed earlier this summer by prising the Spain winger Juan Mata from Valencia as André Villas-Boas's side step up their attempts to add to their squad before the transfer window ends. Mata has joined Luka Modric and Raul Meireles as a target for Chelsea, who are understood to have made an informal inquiry to the Spanish club as to the 23-year-old's potential availability. The player had effectively been on the market for €25m (£22m) until 31 July but a buyout clause in his contract expired then, allowing Valencia to dictate the fee. Arsène Wenger's team still technically have an offer on the table for Mata, though Chelsea appear to have leapfrogged them in the pecking order for the winger.